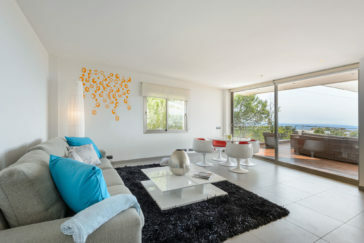 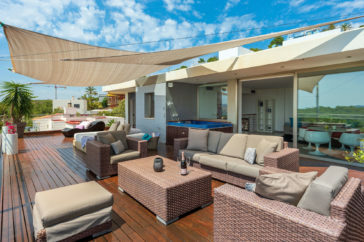 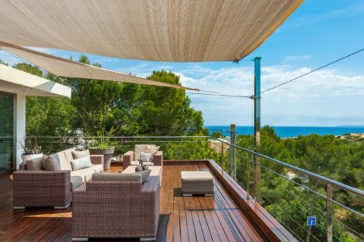 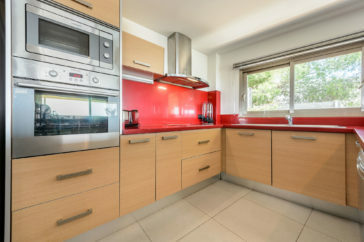 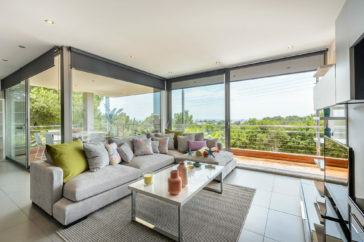 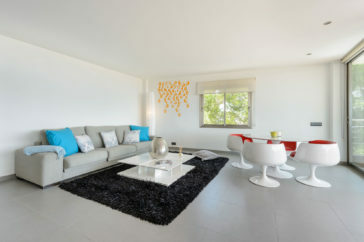 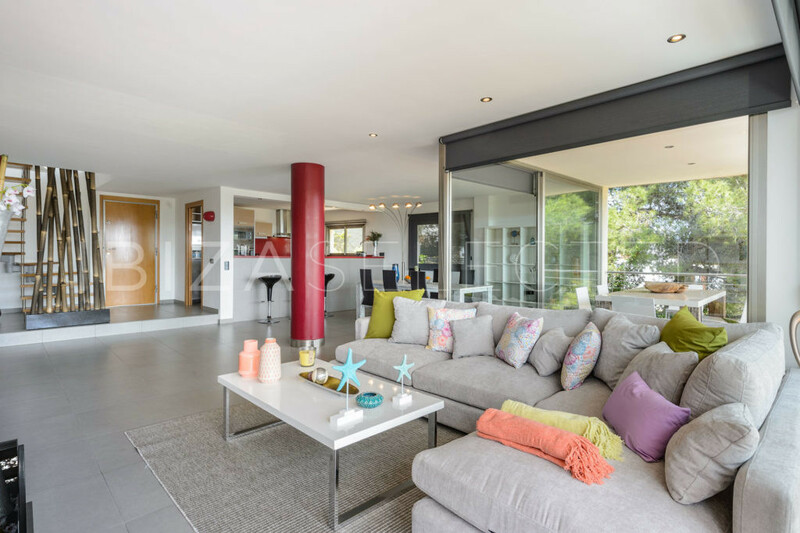 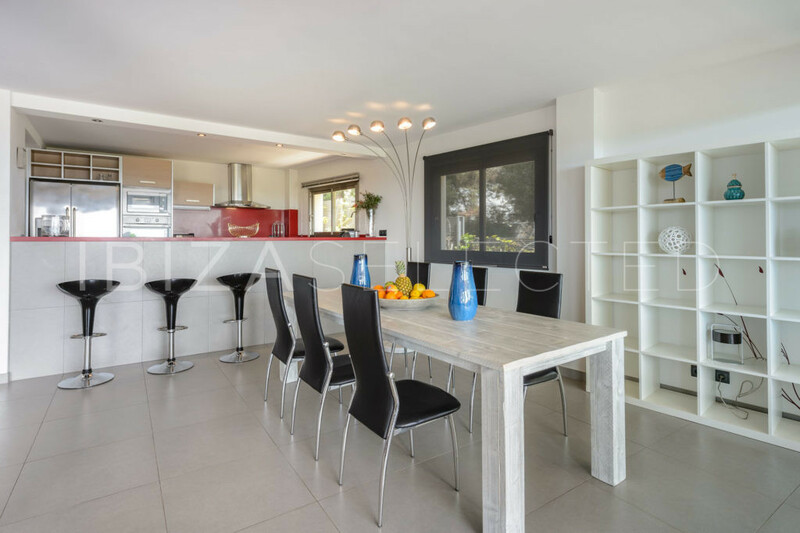 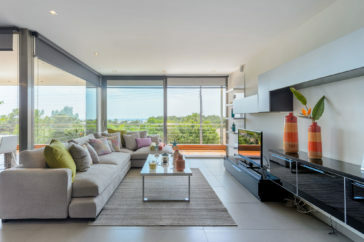 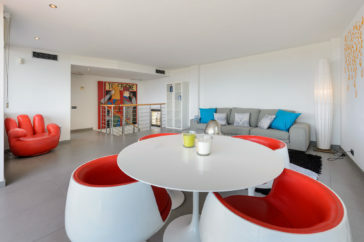 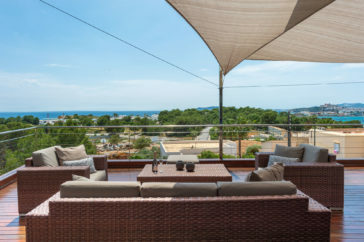 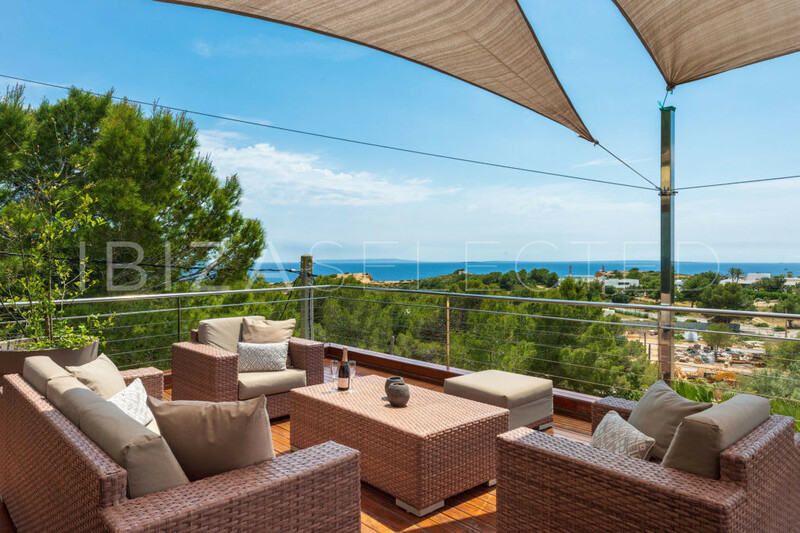 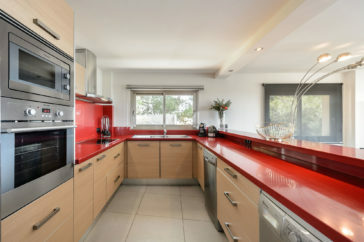 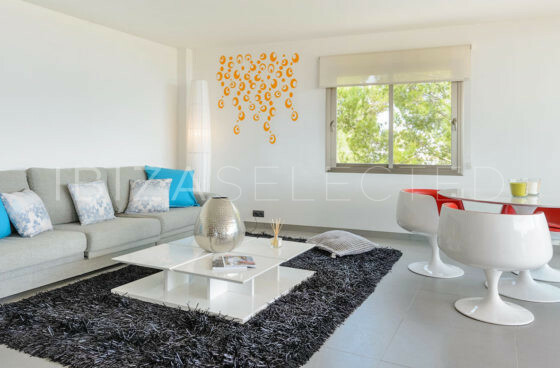 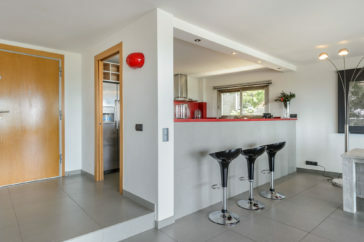 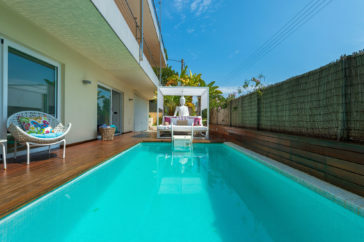 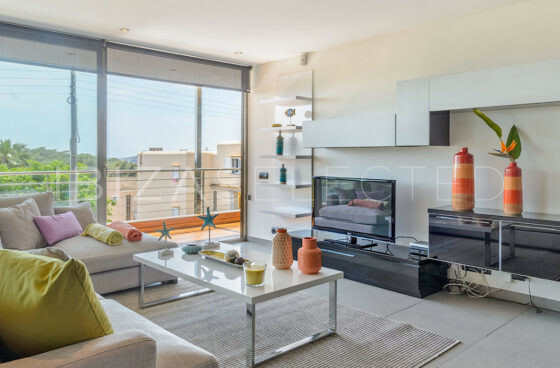 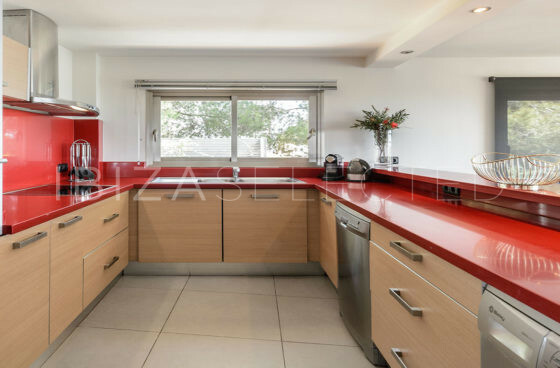 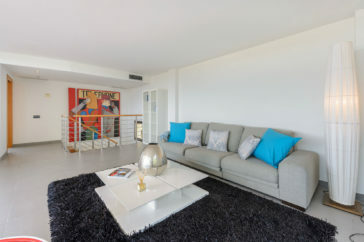 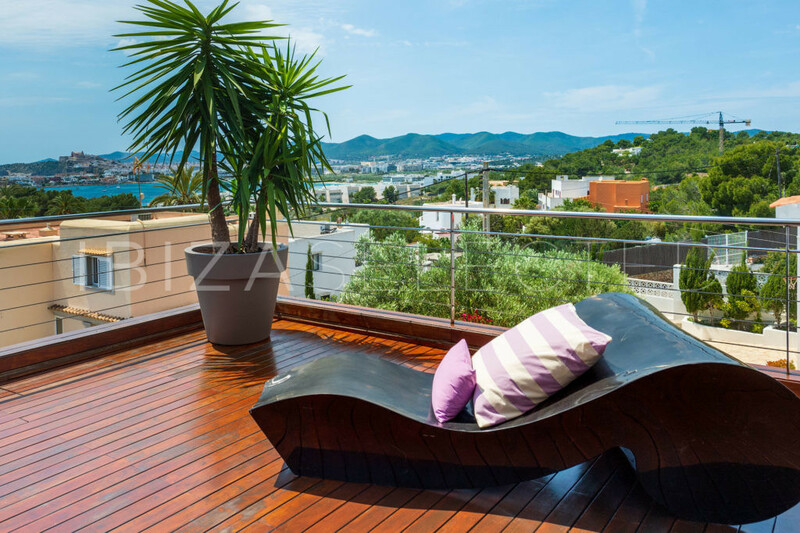 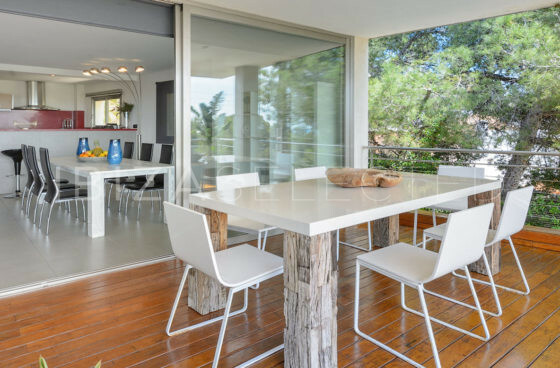 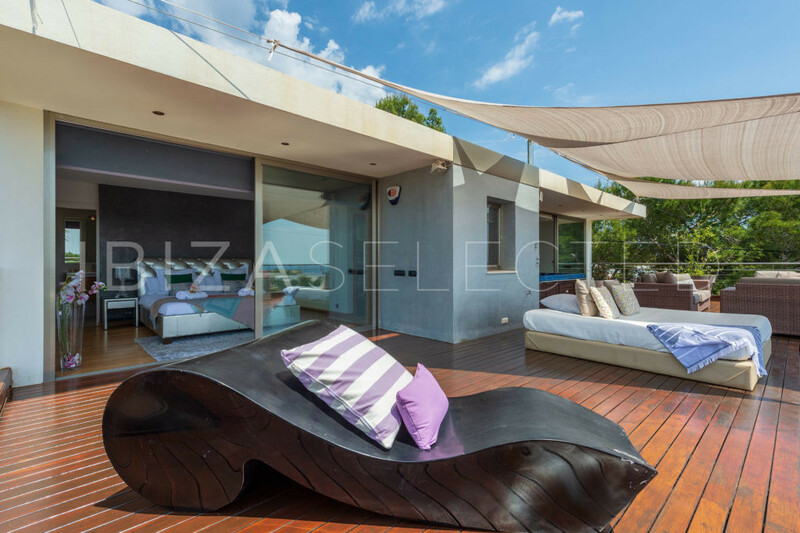 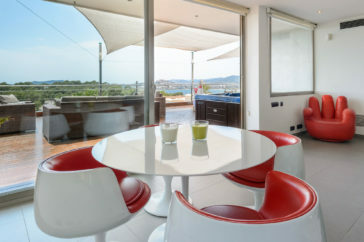 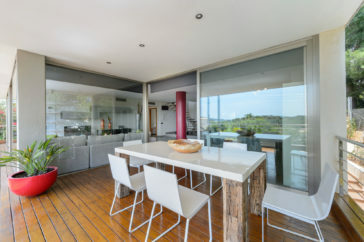 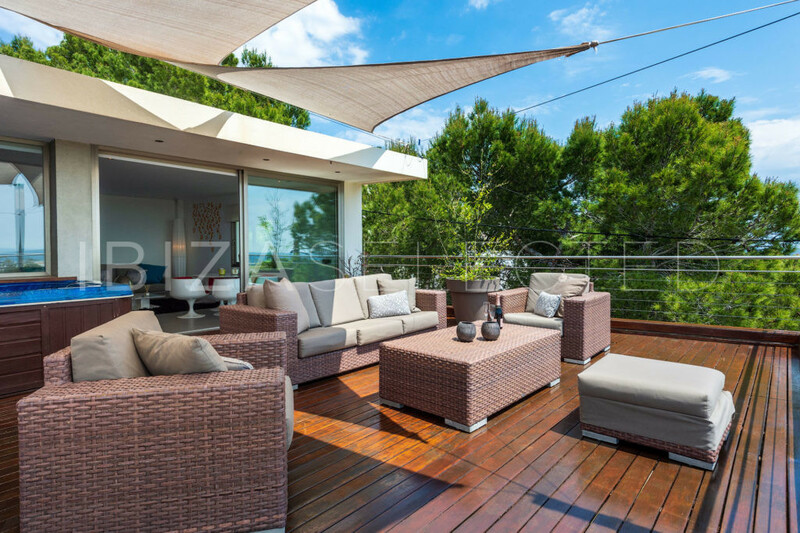 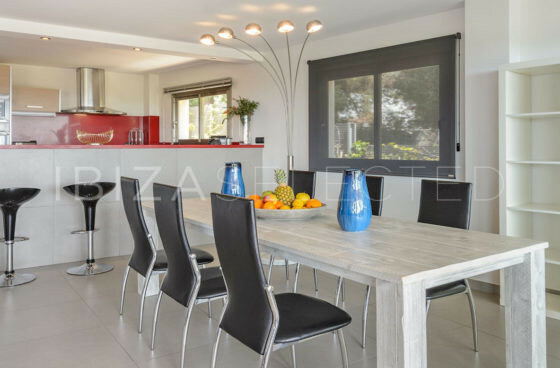 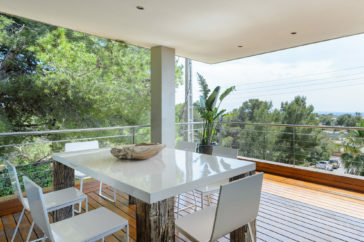 This wonderful modern design Villa Luxe, offers enough space to accommodate up to 6 guests, with 3 bedrooms and 3 bathrooms, in a walking distance from Destino´s Beach Club and less than 10 minutes to Talamanca´s beach, with private pool and independent apartment in the location in Cap Martinet, very close to Talamanca, Marina Botafoch and Jesus Town as well. 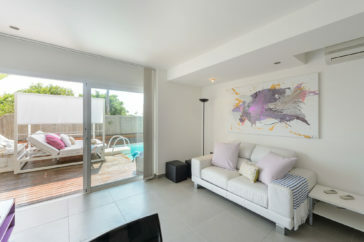 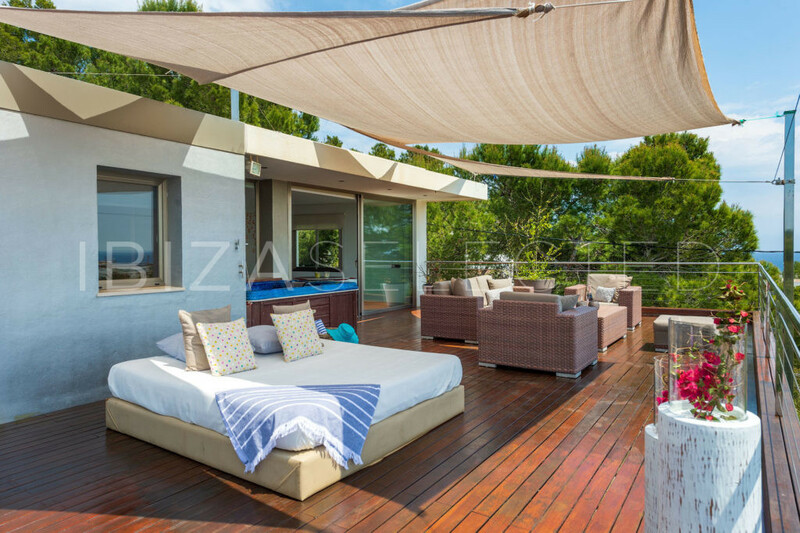 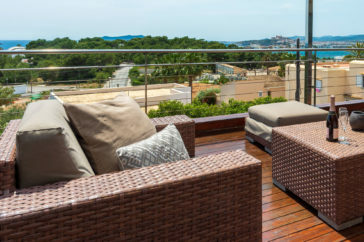 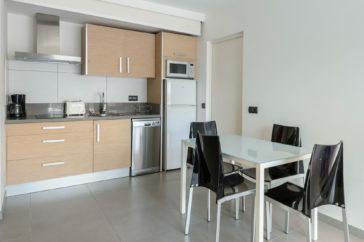 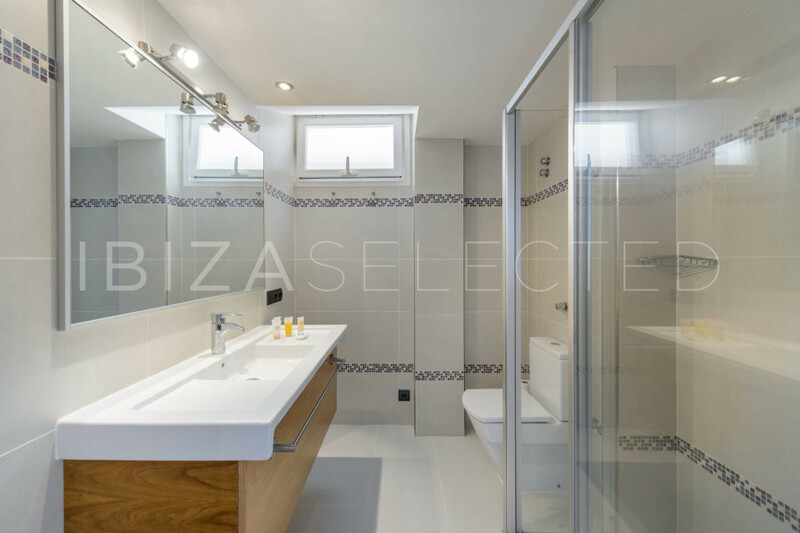 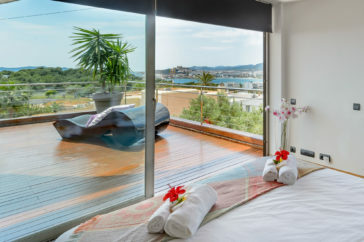 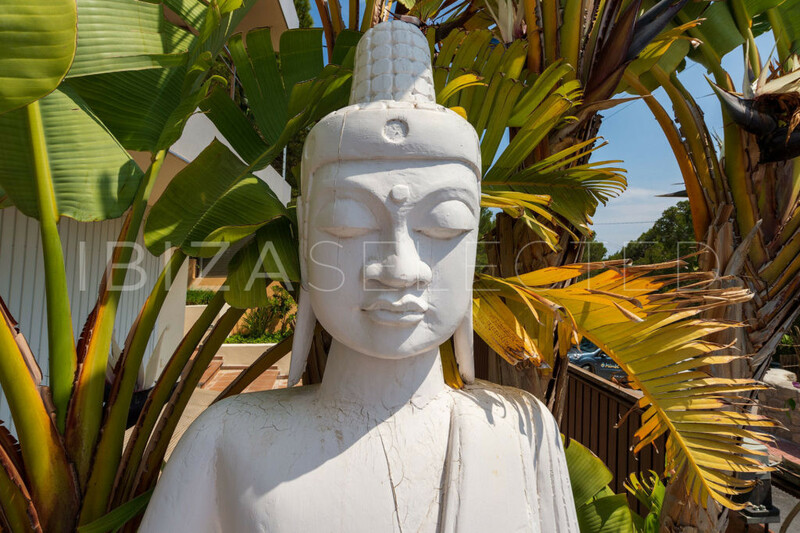 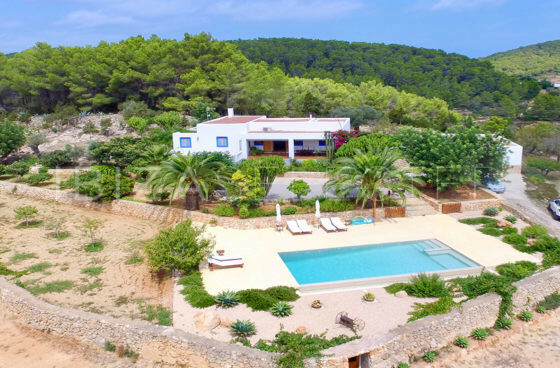 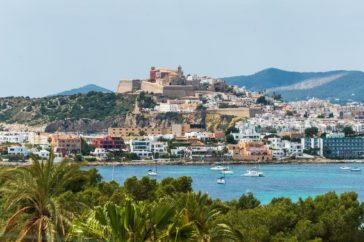 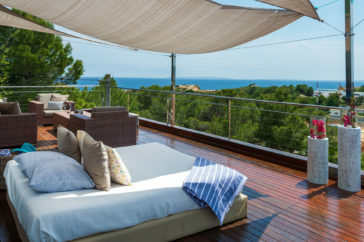 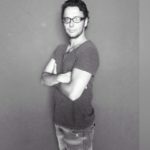 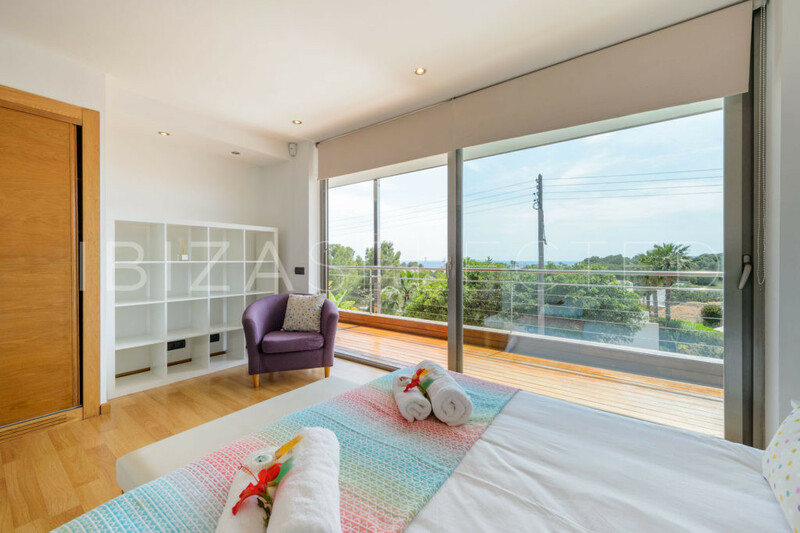 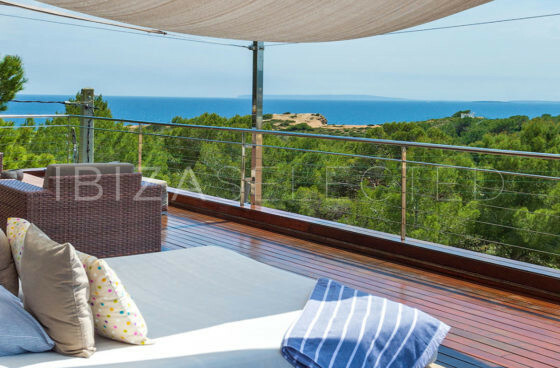 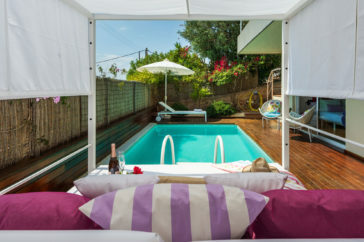 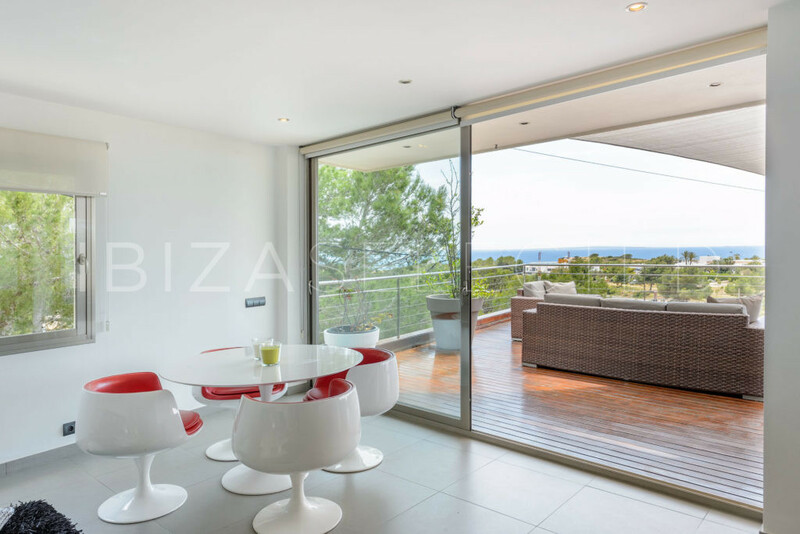 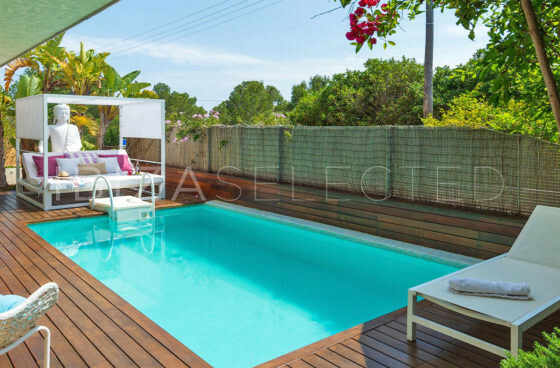 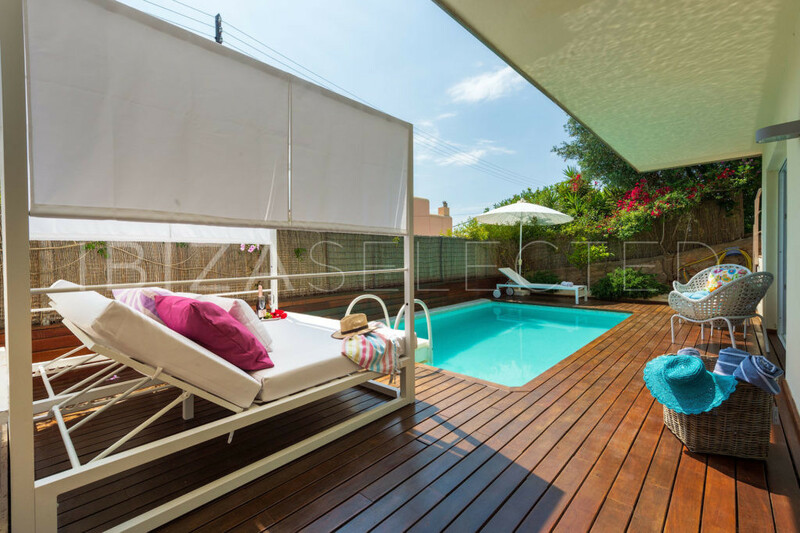 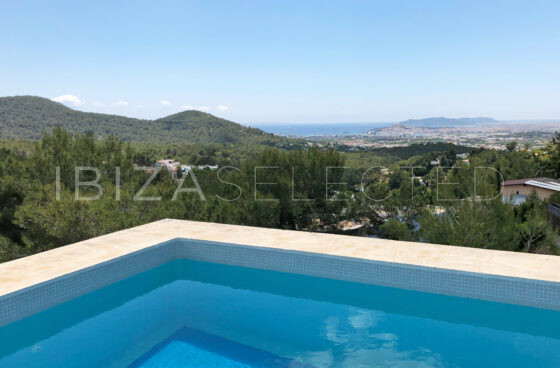 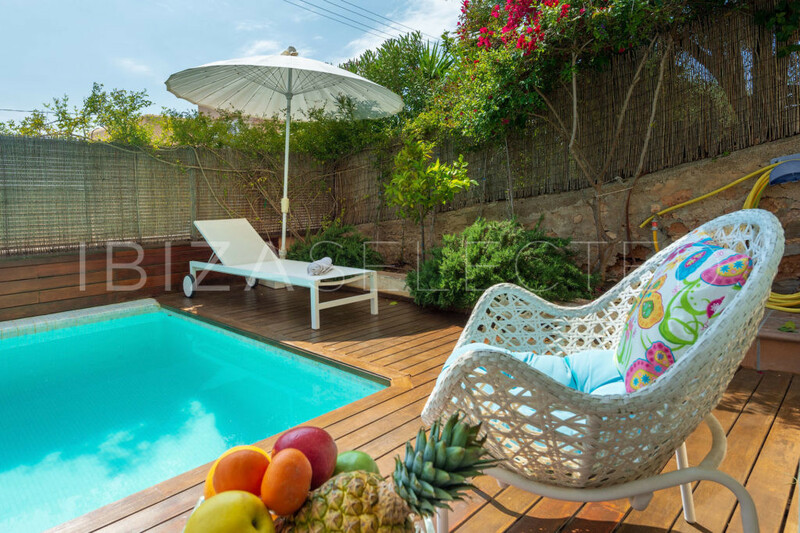 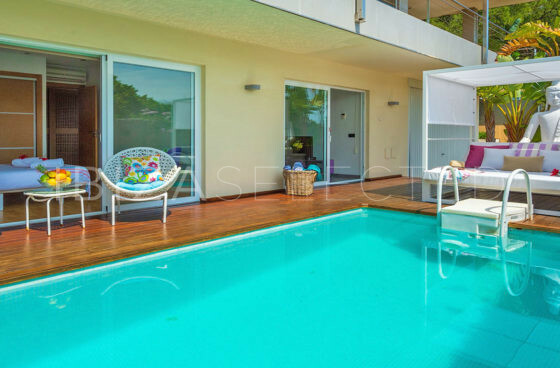 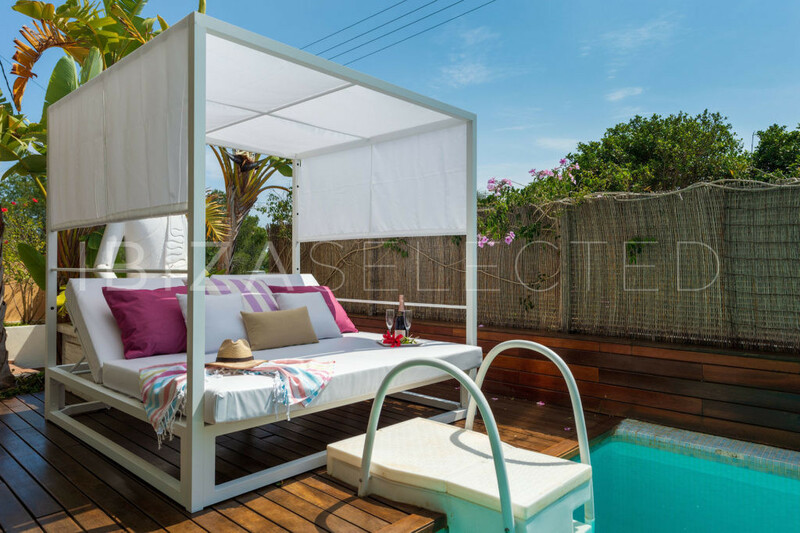 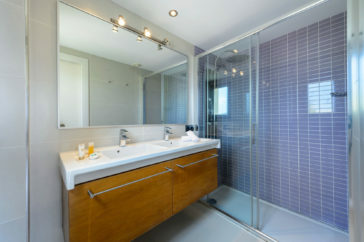 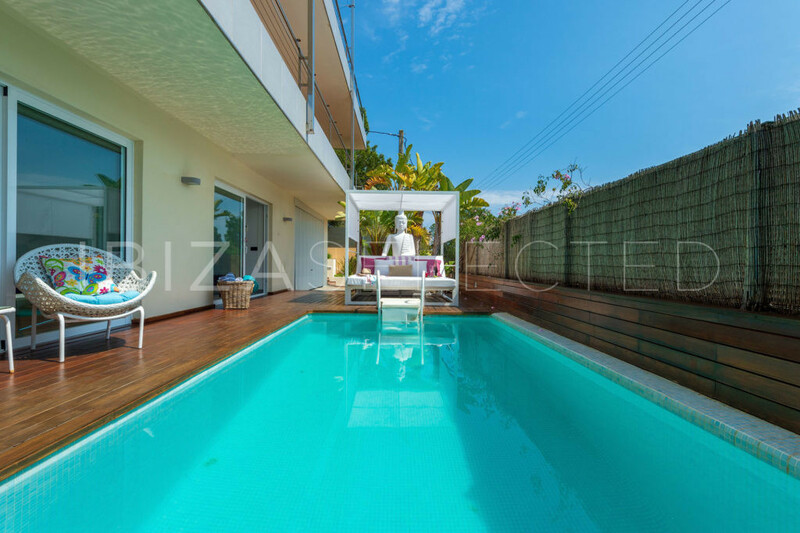 With a large terrace with breath taken views, to Ibiza town and Formentera Island, and private swimming pool. 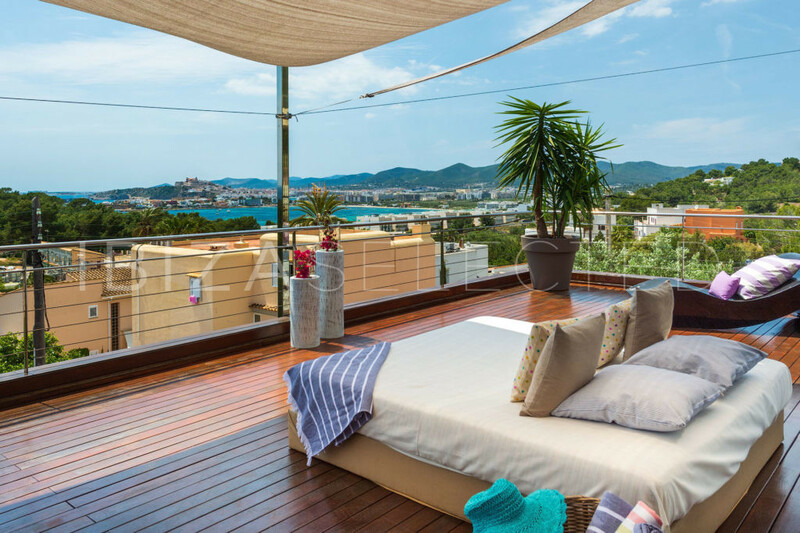 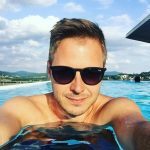 Where you can relax and embrace new energy. 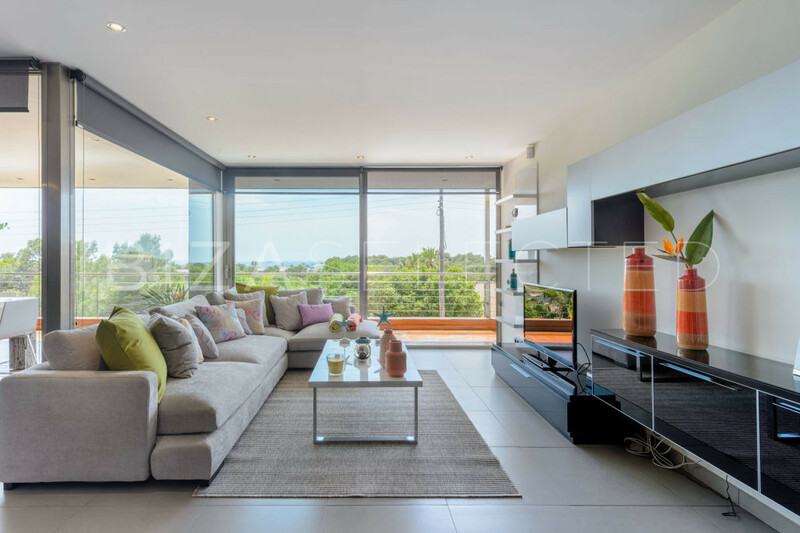 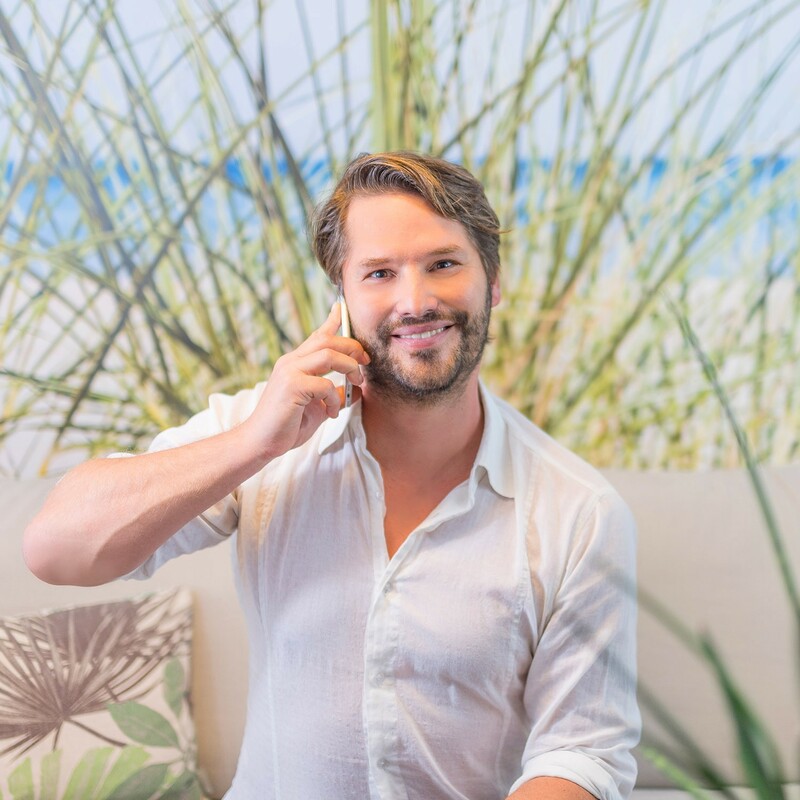 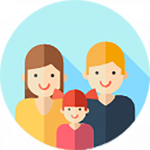 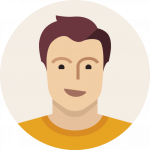 In a modern building with 3 levels, you will find a comfortable space with a duplex concept. 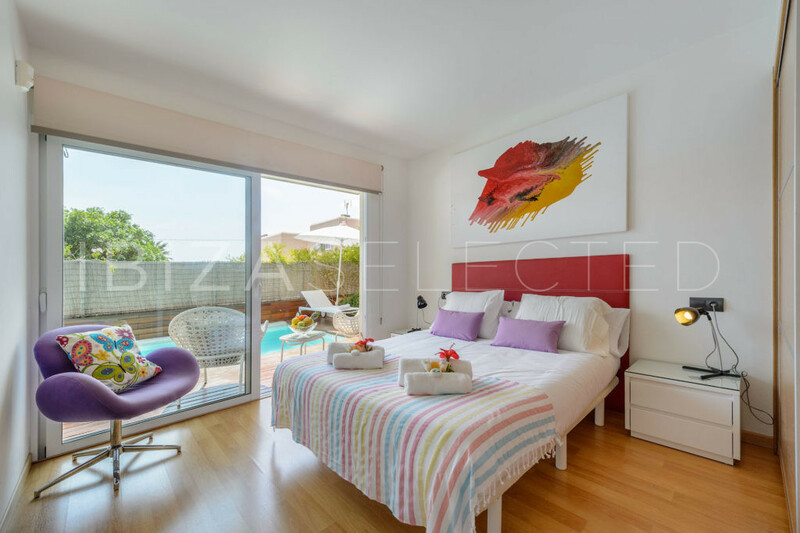 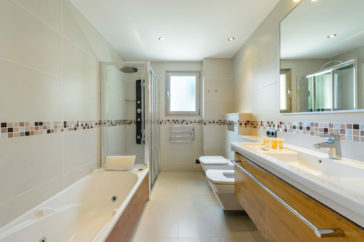 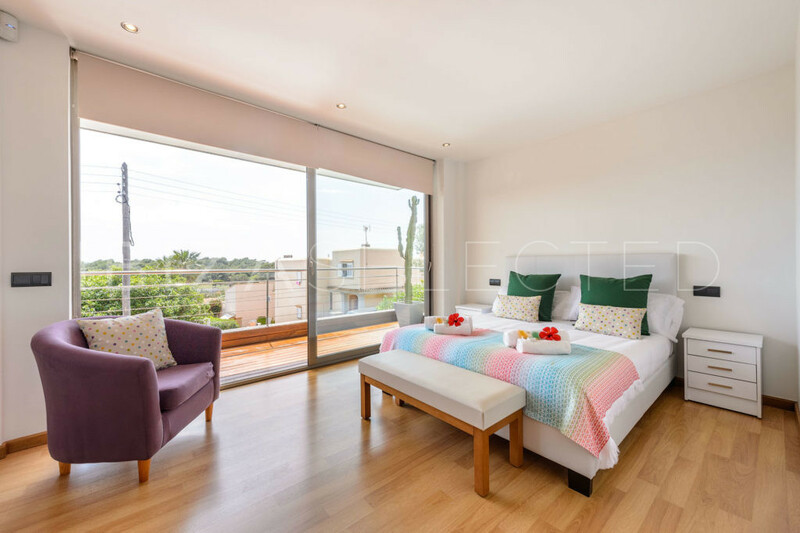 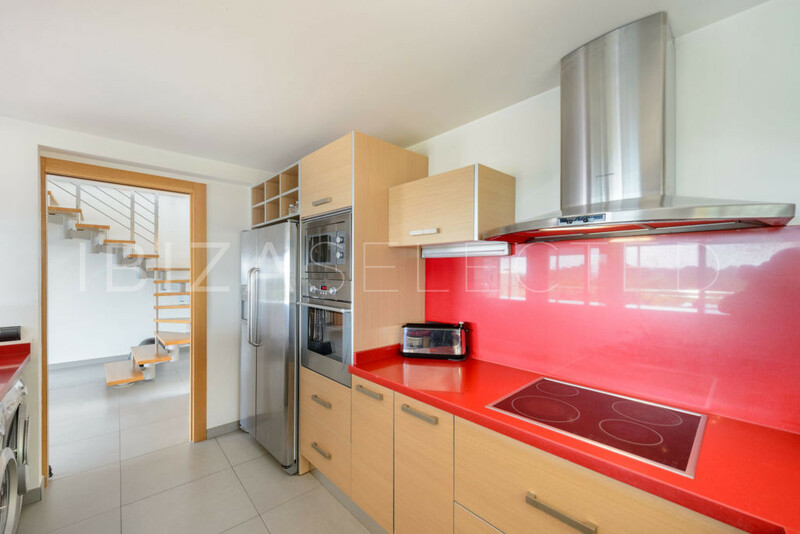 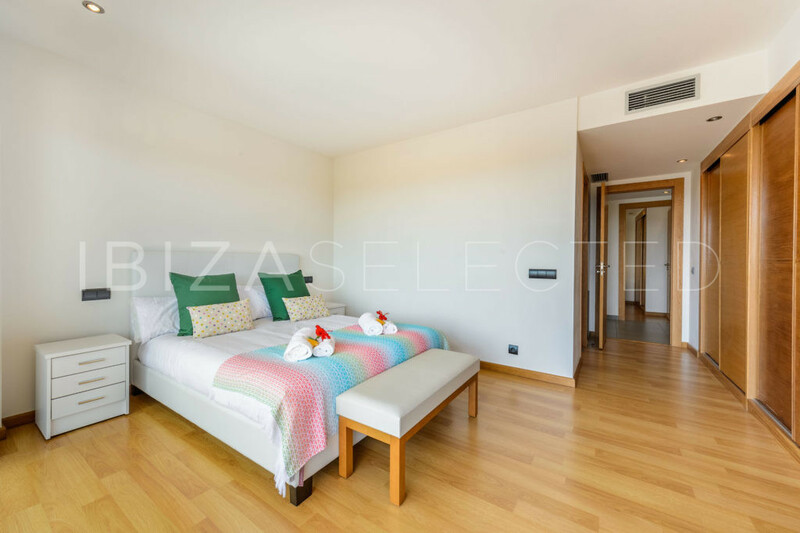 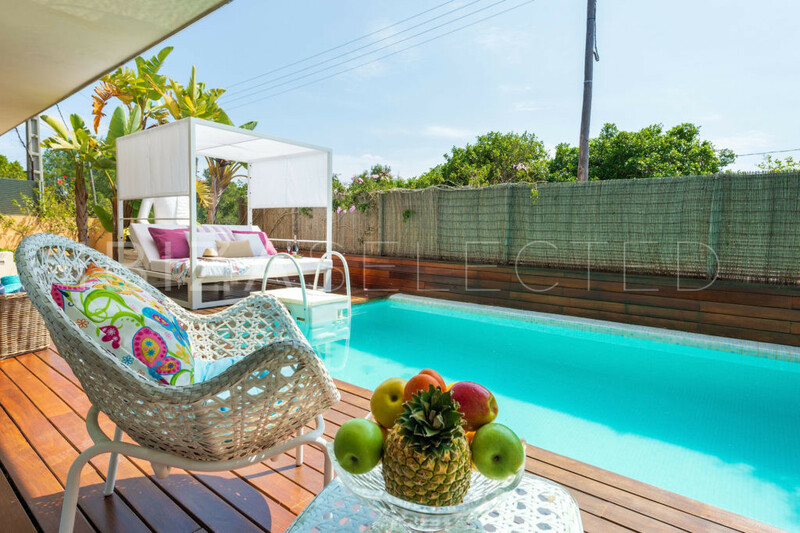 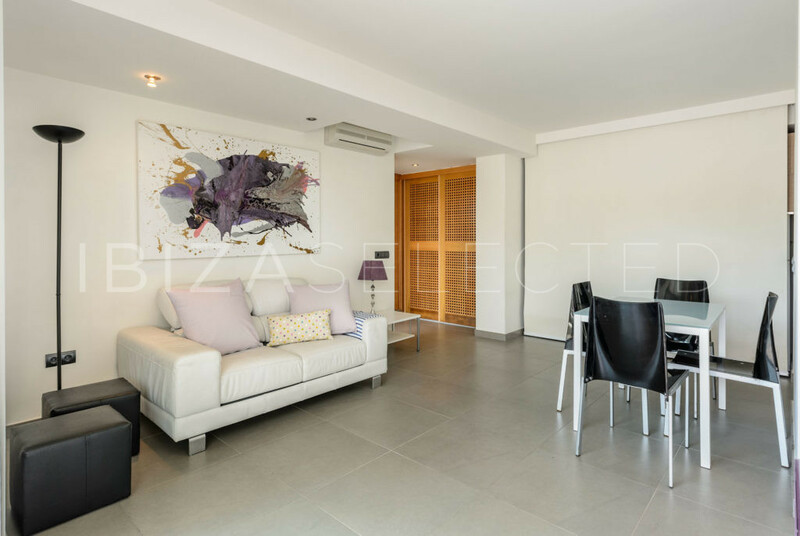 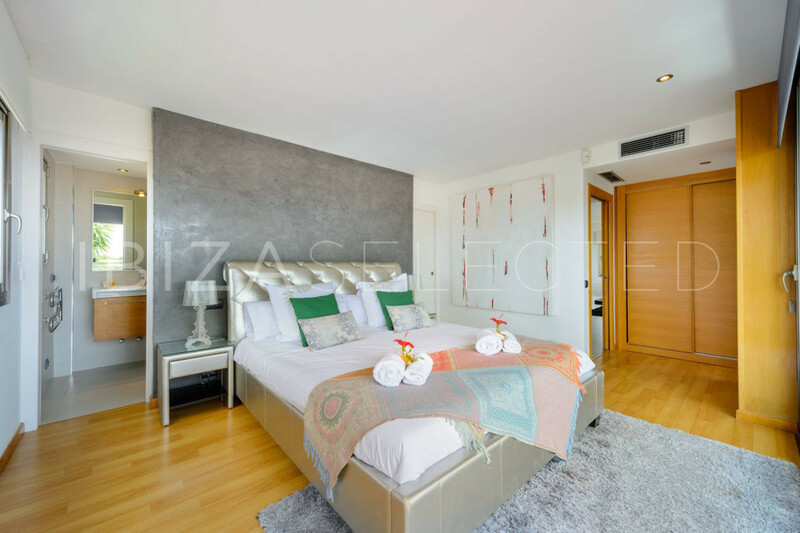 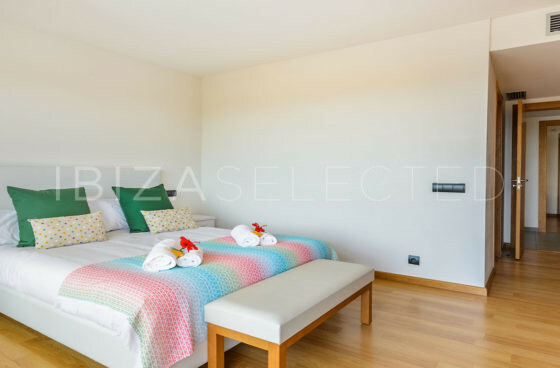 With a modern layout, downstairs you have a private studio with a double room, bathroom, air-con (split type), dining and kitchen area, just in front of your private pool. 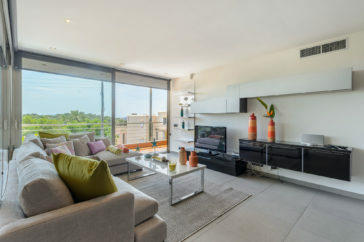 Going up by the stairs beside the garden, you will have an upper independent level, with a full equipped kitchen with dining and living room, with a large terrace with an outdoor dining table to share your meals with your friends and to spend the evenings together. 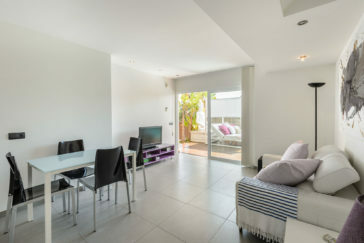 In the third level the best it´s waiting, you will have one master room in suite with a large living room and a huge exterior terrace with space enough to take sun, several areas to chill, with stylish sun chair in the top and a chill out mattress to enjoy soft drinks with friends, as well as a Jacuzzi for evenings for two. 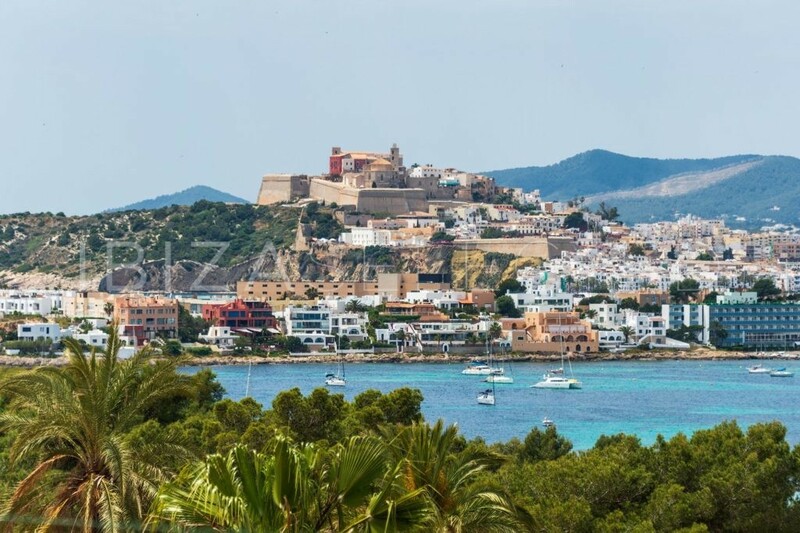 A gorgeous landscape it´s already waiting there to Talamanca views and also Formentera island.